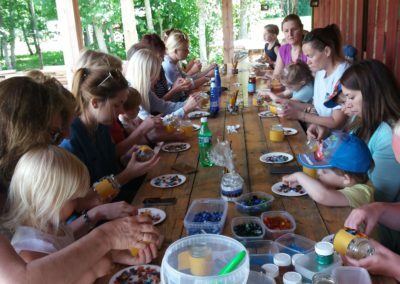 Örreke offers more than 20 different workshops as incentive activities for business or individual travelers. 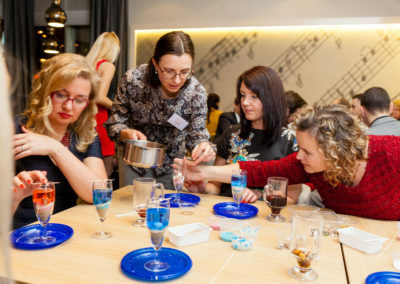 Our workshops provide customers unique opportunity to learn new skills in art and crafts, by creating a personal memento one can never buy from any shops. 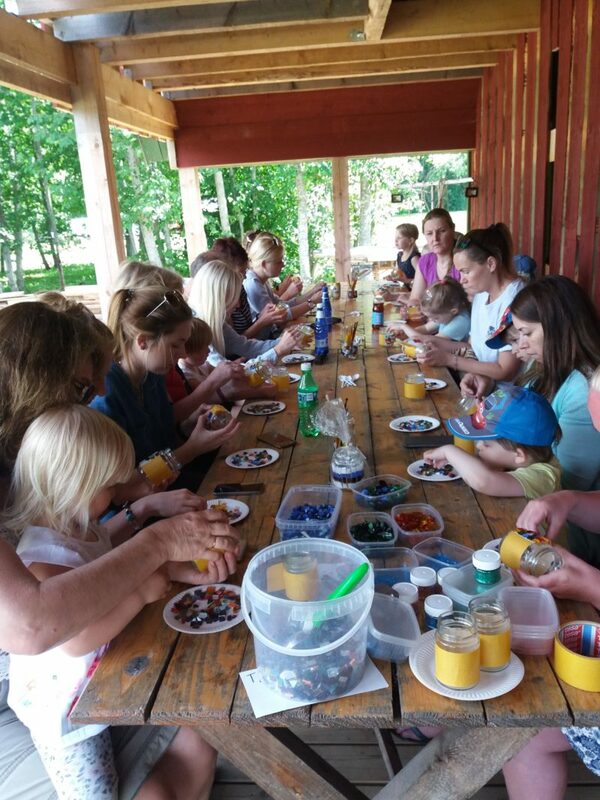 All our activities are fun and easy and everybody will be surprised by their creative side. For 15 persons the workshop can be carried out in our medieval studio in the center of Tallinn Old Town. For large groups different premise can be rented. 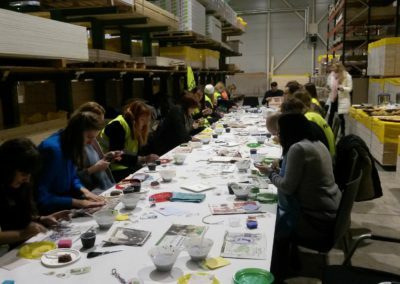 Workshops last from 45 minutes and can be easily linked to the Tallinn day tour. We also offer 60 minutes adventure in Tallinn Old Town streets and a visit to a fairytale land in our studio. The prices for our workshops start from 10 euros depending from the number of participants. Workshops will be held in English, Russian and Finnish. 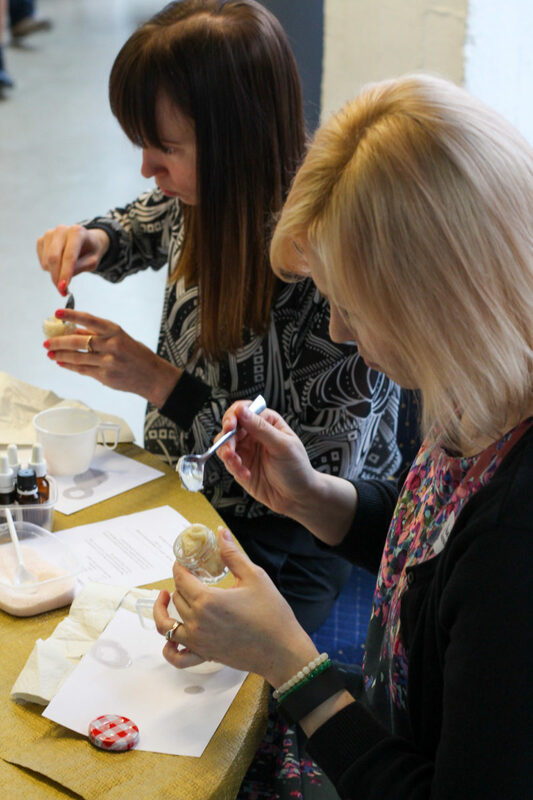 Get closer look to our home cosmetics workshops, sweets workshops, candle making, silk painting, good lack stone making, leather or mosaic workshops. SA Environment Investments Centre, Republic of Estonia Ministry of Foreign Affairs, USA Embassy, Estonian Information Technology Foundation, Toyota Baltic AS, Ehitus5ECO LTD, Hotel Europe, V.O.P.A.K. AS, Police and Border Guard Board, Tallinn Ambulance, Tallink Silja Line, Kopli Profession School, Estonian Football Association, Estonian Consumer Protection Board, TS Energy, Mandatum Life Insurance Baltic SE, AS Express Post, Tamro Baltics, Stora Enso Estonia, AS Tallinn Water, Telegrupp AS, Baltika Grupp AS, Lextal Law Bureau, Tallinn City Enterprise Board, AS Simens, Tallinn City Government, Bayer AS, AS Pipedrive and etc. 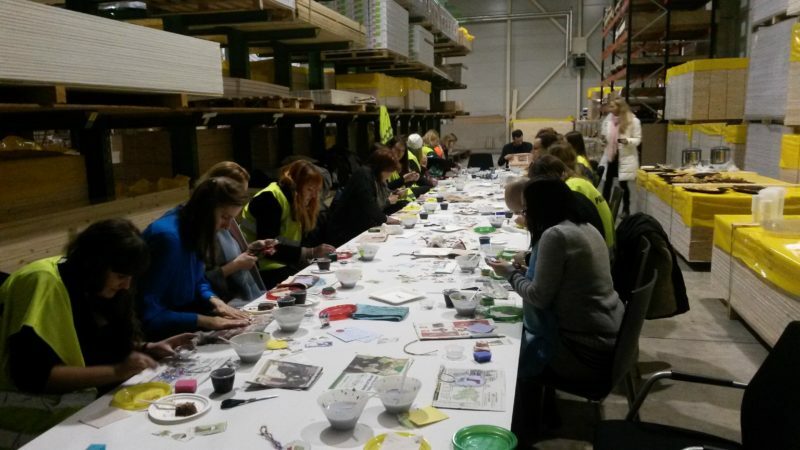 The workshops in Örreke are great! Everyone can easily find interesting and suitable handicraft activities for themselves because, the range of different choices is wide. Even the workshops which at a glance seem complicated are playfully and simply preformed, due to experienced and skilled instructors. Crafting environment is cozy and inspiring. 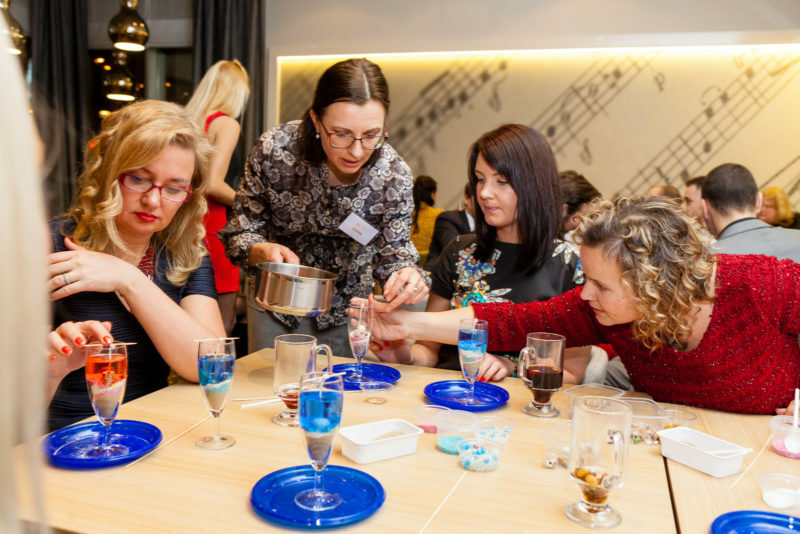 For the tourists and the people who are seeking for self-development opportunities- these workshops are unforgettable! Big thanks to you, Kadrin! Workshops on high level, as always! Many thanks! The workshop was super! I wish to thank you again for yesterday’s event! It was very exciting and I’m sorry that we didn’t have more time! 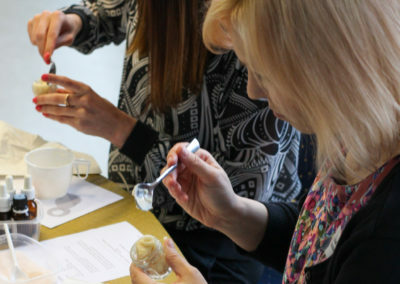 It seemed that all the participants were enjoying the workshop! Many thanks for a nice workshop! 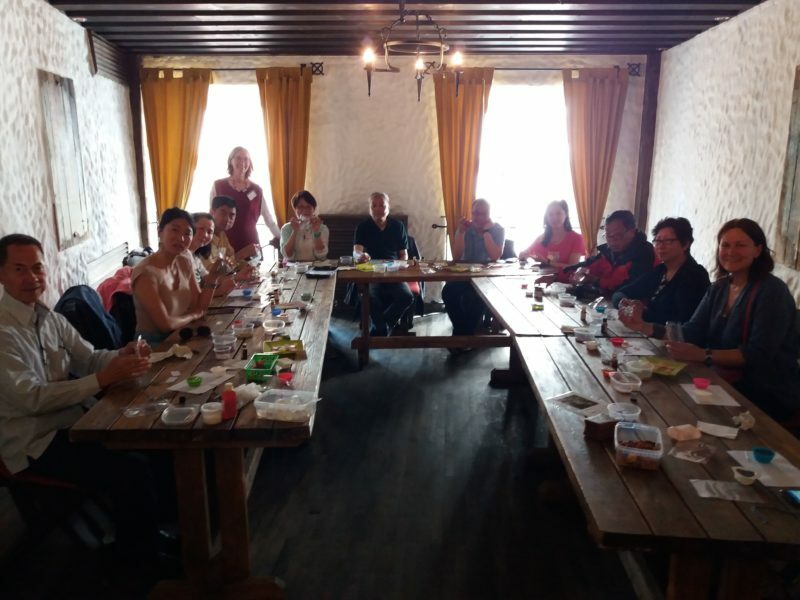 It was a great refreshment during the lunch. I’ll, for sure, recommend your workshops!